For 800-1000 horsepower range applications, HKS now offers the Racing Muffler system. The Racing Muffler is the lightest system (40% lighter than the race inspired Hi-Power Exhaust system) and the highest flowing exhaust system HKS offers. 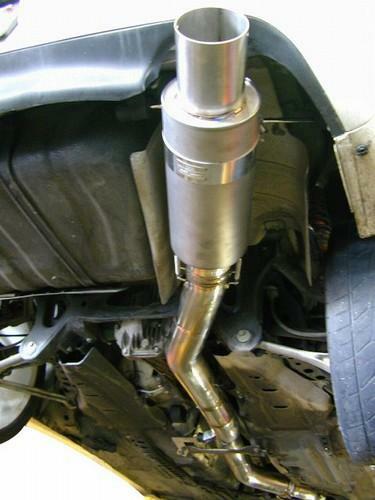 The muffler utilizes a slip-on/latch design that mates polished stainless steel piping and a lightweight titanium Muffler assembly. All Racing Muffler systems incorporate a 115mm+ diameter tip and include a removable inner silencer for pit area use. Racing Muffler Systems are FOR OFF ROAD USE ONLY.